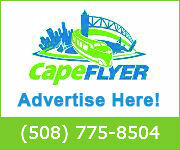 CapeFLYER Train Service Starts May 24th! Welcome aboard the CapeFLYER, a summer weekend passenger train that runs from Friday May 24th to Labor Day from South Station to Hyannis, with stops in Braintree, Brockton, Middleborough/Lakeville, Wareham Village and Buzzards Bay. Kids 11 and under ride FREE when accompanied by a paying adult. Seniors and persons with disabilities can ride for 1/2 off the regular full fare with a Senior CharlieCard or Transportation Access Pass CharlieCard (MBTA Senior CharlieCard info here)! In addition to a convenient trip to Cape Cod, the CapeFLYER has coordinated with ferry services to provide convenient connections to and from Nantucket and Martha’s Vineyard. Local buses are available upon arrival in Buzzards Bay and Hyannis so you’ll be able to proceed to your destination. Visit our My Final Destination pages, where you’ll find available transportation to get from the train to your final destination. The CapeFLYER is available Friday May 24th to Labor Day with transportation to Hyannis from South Station with stops in between. Service is not available weekdays. CapeFLYER tickets are available for purchase at South Station, from a train conductor onboard the CapeFLYER or in advance on the official MBTA mTicket App. 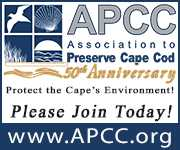 Including Nantucket to your trip to Cape Cod and the Islands is easy, quick and enjoyable! Transportation to the docks from the Hyannis Transportation Center is available by ferry shuttle or trolley! The CapeFLYER makes your transfer from the train to the docks easy so that you can get connected to the Martha’s Vineyard ferries from Falmouth Harbor, Woods Hole or Hyannis. 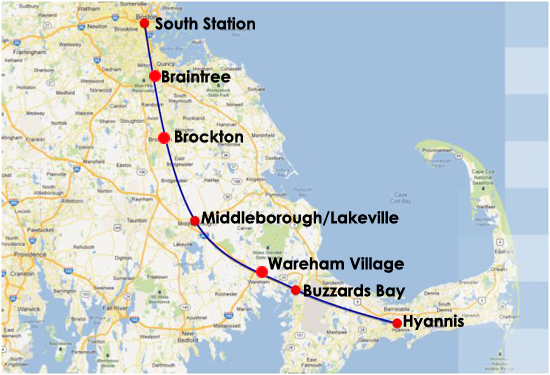 Ride comfortably aboard the CapeFLYER from South Station to Hyannis, with stops in Braintree, Brockton, Middleborough/Lakeville, Wareham Village and Buzzards Bay. The CapeFLYER offers 50% off fares for Seniors with the Senior CharlieCard and persons with disabilities with the Transportation Access Pass CharlieCard. Group fare discounts are also available for groups of 10 or more. The CapeFLYER café car offers artisan sandwiches, snacks, craft beer, wine from local businesses on Cape Cod! Explore downtown Hyannis when you ride the Hyannis trolley! 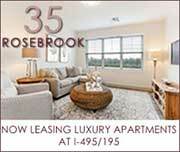 Available May 24th to Labor Day, Riders can request stops at the JFK Museum, Cape Cod Carousel, Kalmus Beach and more. 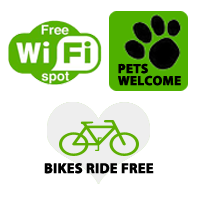 Bring your bike to Cape Cod for free aboard the CapeFLYER! Need to inflate a bike tire or make minor repairs before you get here? All that can be done en route in the train’s bicycle car! Kids 11 and under ride FREE when accompanied by a paying adult! Save money and create memories with your children when you ride the CapeFLYER from Boston to Cape Cod!